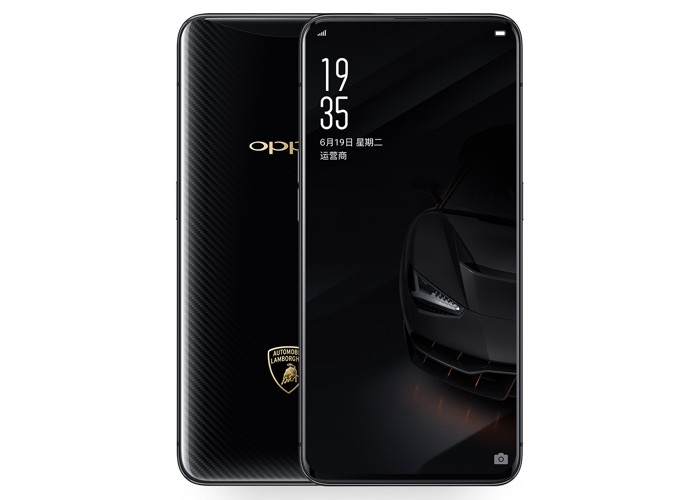 Oppo has announced a new special edition version of their Find X smartphone, the Oppo Find X Lamborghini Edition. The Oppo Find X Lamborghini Edition comes with 8GB of RAM and 512GB of storage, the rest of the specifications are the same as the standard device. These include a6.4 inch OLED display and it has a really small bezel thanks to the innovative camera system. The handset is powered by a Qualcomm Snapdragon 845 processor and it comes with 8GB of RAM and 256GB of storage. There is also a 3730 mAh battery and Android 8.1 Oreo, plus its pop up cameras. On the front there is a 25 megapixel camera for Selfies and on the back there is a dual camera setup of one 16 megapixel camera and one 20 megapixel camera.